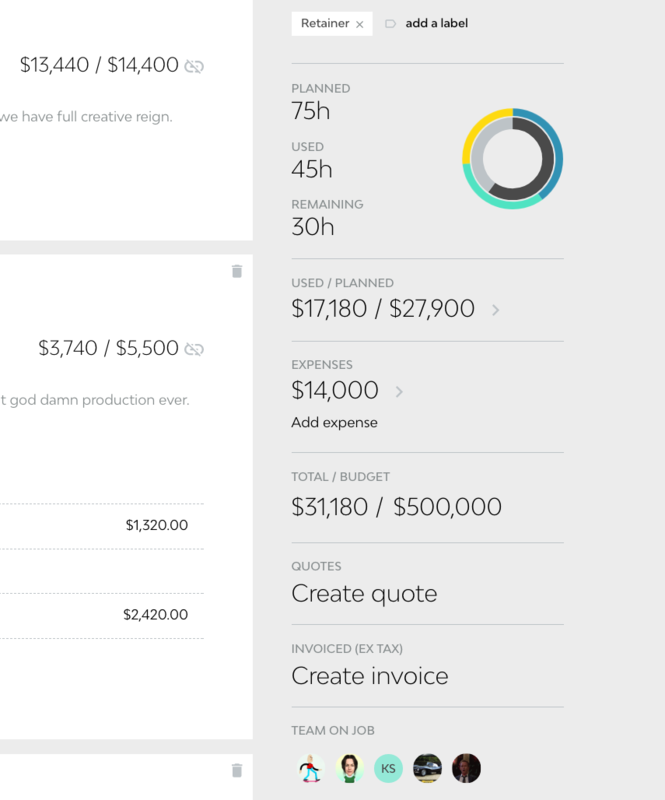 Retainer jobs are easily created in Streamtime by setting the job's budget as the retainer amount negotiated with the client. This can be done when creating a new job. Once you've got the bones for your retainer job in place, you can get on with the planning. Note: If you have added a retainer Label, this will be deleted when the job is duplicated, so you'll need to re-add it. 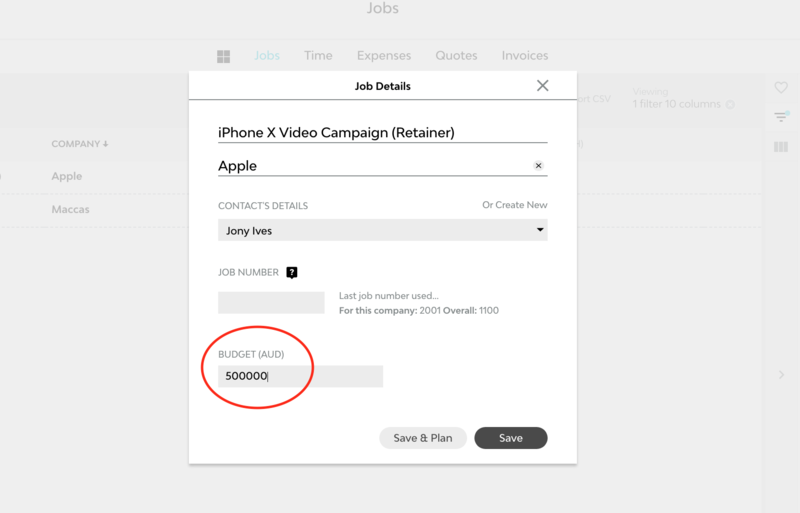 When duplicating a job, Streamtime will remember the time you have planned. This can be easily amended if your plan will change in the next month, but can also be useful for setting up template jobs. Read more about setting up template jobs here. As you work on your retainer job, you will want to keep an eye on how you are tracking against the retainer amount. The figures on the job card provide you with a snapshot of your progress against the retainer. Used / Planned indicates how much of the planned retainer work you have already worked on, and how much of that planned work is left to do. Total / Budget indicates the total amount of used time and expenses tracked against the retainer to date. Other useful figures, such as budget variance (the amount remaining in the retainer), are able to be seen from the Jobs list. 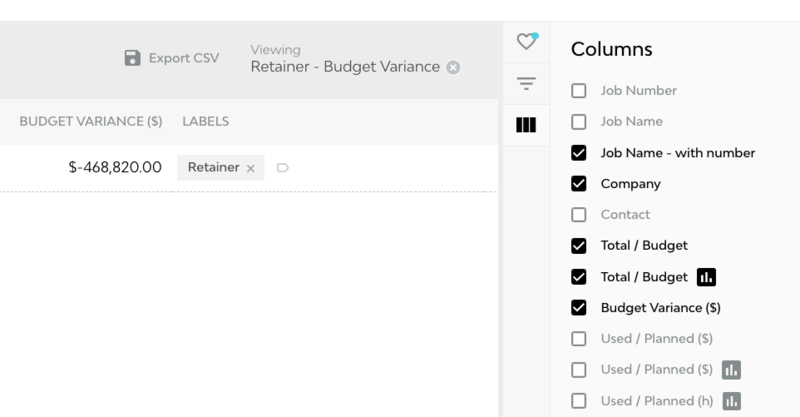 Select your Filters and Columns, and save these as Favourites for quick and easy retainer reporting. If you are working from one single retainer job over the course of a few months, then you'll probably be sending invoices on a monthly basis. Because of this, it's likely that after the first month there will be time and expenses tracked on the job that have already been billed. In order to create a new invoice from time that has not already been billed, click on Used / Planned on the job card. This will show you a list of all time and expenses on the job, and whether they are billed or unbilled. Simply just untick the Billed box, ensuring that Time, Expenses and Unbilled are all ticked, and then click Create Invoice for the total amount at the bottom of the list. If you are creating a new retainer job each month, then invoicing can easily be done by creating a new invoice using logged Time & Expenses, grouped by Time & Expenses.